Kayaking the Nile is a challenging and exhilarating experience. 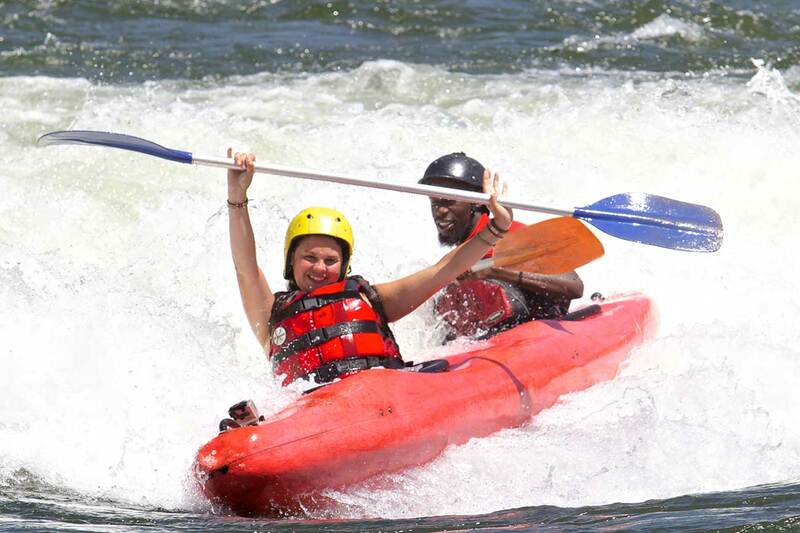 Jinja is an internationally-renowned kayaking destination. It has 5 levels of rapids, so caters for even the most adventurous and experienced kayakers. But if you fancy something a little more leisurely, you can take a kayak cruise in the gentler waters of the Nile. If you’re a beginner, you may prefer tandem kayaking. Introductory courses and training are available. And as with all the other water activities on the Nile, safety standards are very high.